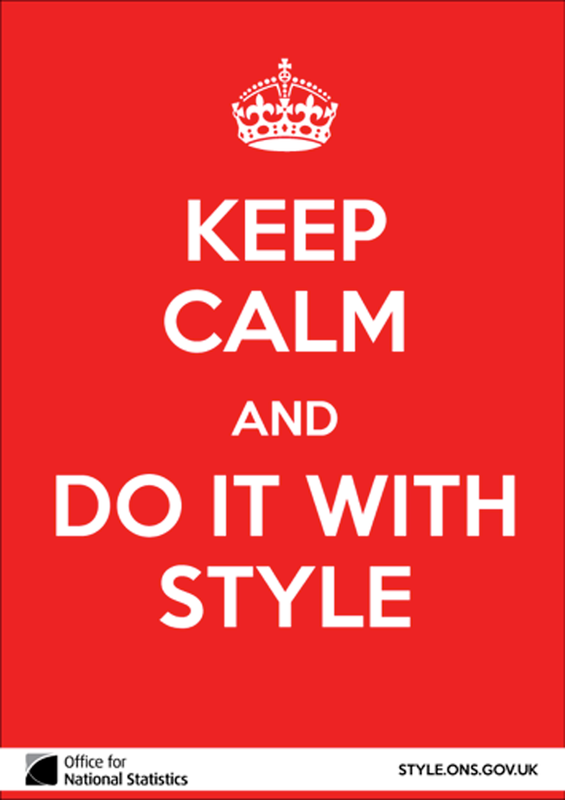 On 1st July the Digital Content team officially launched written guidance on Style.ONS for creating effective tables and charts and using colour in accordance with established best practice. We had been considering creating written guidance to accompany our popular Introduction to Data Vis course for some time, and the Style.ONS project, led by Sarah and Juliet, gave us the drive and home for this. The initial focus has been on the basics of charts, tables and colour. These are topics that have been part of our course for years and historically lots of literature has been written by topic experts to support best practice. We have also fielded many queries over the years from teams across ONS. My colleague John Nixon has been crucial in this central support role. All of this experience combined has given us a strong appreciation of good practice, as well as some of the common pitfalls people face. …as you can see there wasn’t a shortage of ideas. Our introductory course focuses a lot on the decision making process when creating charts – Should I use a bar chart or a line chart? Would colour highlighting help? Should I use annotation? So much of this decision making process is based on the context of where the chart lives. Is it a standalone chart for social media, or is it a chart trying to convey a key message in a report? One of the big challenges has been translating this into concise written guidance and principles. My aim was for users to try and use these written principles as much as possible in their design, but if the need arose to do something different be able to justify their thought process sensibly, adhering to as many best practices as possible. Much of the written guidance is based on the course content, which was originally compiled by Steve Rogers and Alan Smith – massive credit due! The course content is founded on well established data visualisation theory and best practice – dating back to the early charts of William Playfair and his careful use of annotation to give context and the perceptual insight of Edward Tufte. The course also discusses Gestalts laws of grouping, in particular the proximity law (introducing white space) to group data that are similar and separate where dissimilar. I used these tried and tested methods as a base for the standards on Style.ONS. How will these standards help? We hope that staff across ONS and the GSS will find these principles and standards useful in their day-to-day work. Perhaps they will revisit the charts that have remained the same from publication to publication and question whether they can be improved. The standards have also been built into the new chart making tool created for the upcoming Beta website and so this should help to ensure consistency in future charting styling. This is just the starting point for this data visualisation guidance. It covers the basics but we intend to add further, more advanced, guidance over time. For example, how to handle responsive chart design – what should a chart look like on a mobile or tablet? We’ve already tackled some of these issues as part of our work on Visual.ONS but keep an eye out for further blogposts and guidance on this theme!